A new bill was introduced yesterday that proposes the elimination of the Canadian penny. Abolishing a country’s smallest denominated coin is not new. It has certainly happened in the past, and several countries are publicly debating the issue or implementing a recall of their smallest coin right now. As examples, in recent months and weeks there has been talk of Russia removing their one-kopek, Denmark saying goodbye to their 25-øre and Malaysia abandoning their one-sen. Unlike the dilemma other countries face, like the U.S., the cost to manufacture the Canadian penny is actually less than its value. That’s one less obstacle to overcome for those who would like to keep it. However, those who wish to abolish the penny are quick to note that just because its manufacturing costs are reasonable, that does not mean the penny’s full production cost, which includes shipping them, does not exceed its value. Or, that inflation has not made them commercially insignificant. And that’s part of the crux, which is common to most countries in this debate. While their may be reasons for keeping their smallest coin—its use in charities, sentimental value, historical measure, fear their removal would increase "round-up" product and service costs—the coins simply do not have the buying power, by far, compared to when they were first introduced. For many, they’ve become a source of hassle and are simply taking storage space in the home. "To put it simply, the penny has virtually no commercial value, it barely circulates, and it costs more to produce than its worth. It’s time to get rid of it." Martin’s bill, C-531, is entitled An Act to amend the Currency Act and the Royal Canadian Mint Act. 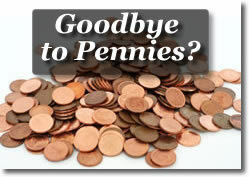 If passed, the penny would be eliminated and prices for cash transactions would round up or down to the nearest nickel. Skeptics are sure to point out that retailers are not likely to round down. "modeled after Australia and New Zealand who have eliminated their smallest denomination coins in recent years, as have France, Spain and the Netherlands. The support for this idea is growing too. 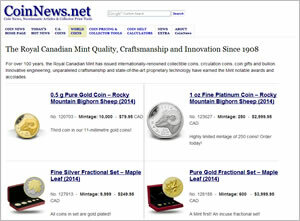 A study prepared for the Royal Canadian Mint in September 2007 indicated that small retailers, big retailers and public opinion all agree with this initiative." Supporters of the measure are encouraged to share their viewpoints with their Members of Parliament. For another perspective, read the embedded CBC News article, Private member’s bill urges penny be scrapped. 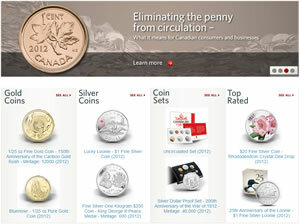 Canada might start eliminating pennies before cost more to make them. Australia and New Zealand has eliminated pennies as well as Switzerland and Denmark recently decided to eliminate 25 Ore Coin from circulation. So good idea to get rid of coins from circulation that is no longer used for vending machine or buy thing with! Such as U.S. Pennies and Russian Kopeks has no longer used for vending machine. The penny is costing Canadian tax payers over a hundreds million dollars every year to keep it in circulation. Please sign the petition at http://www.nomorepennies.ca/ to support Pat Martins bill.